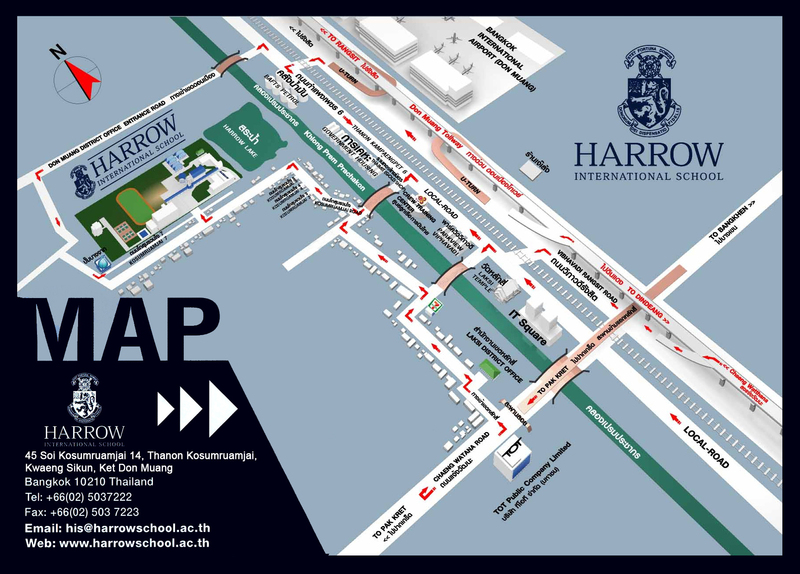 Harrow School is organising another of their fine age-group rapid chess tournaments (U8/10/12/14/16/19), taking place at Harrow International School Assembly Hall on 16th November. Individual players who register online and pay before 11th November, 2013 will be paired the day before the tournament and will take part in the 1st round of the competition. They will also be given a voucher (coupon) and lunch will be reserved. Players who register on the day of the tournament (i.e. 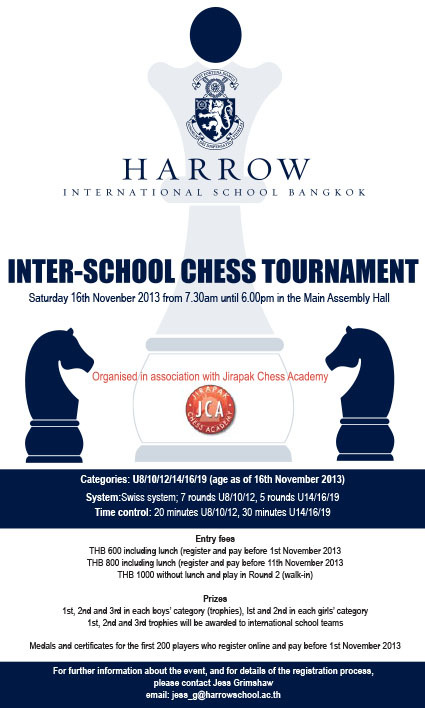 in the morning) will pay a registration fee of 1000 baht. 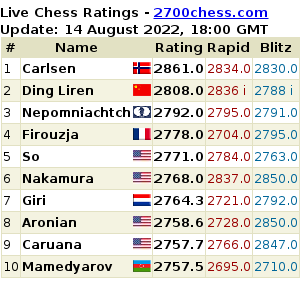 They will be paired on the day and will take part from the 2nd round onwards. Please note that those who register on the day will not be given a lunch voucher (coupon) and lunch will not be reserved.